Flat to rolling loops through the North Shore. 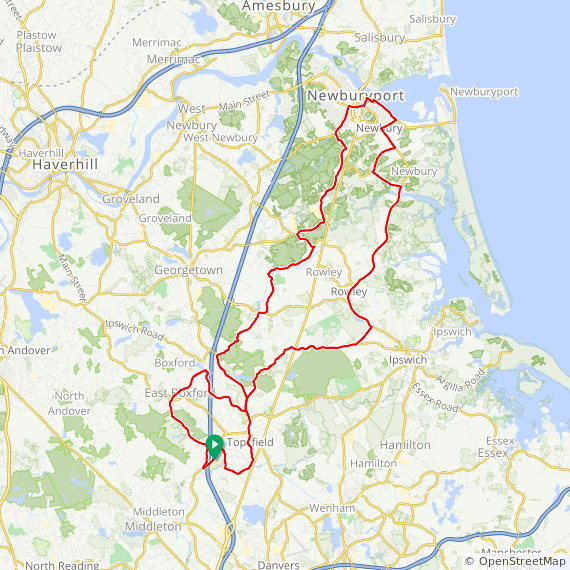 All rides pass through Boxford, Topsfield and Rowley. 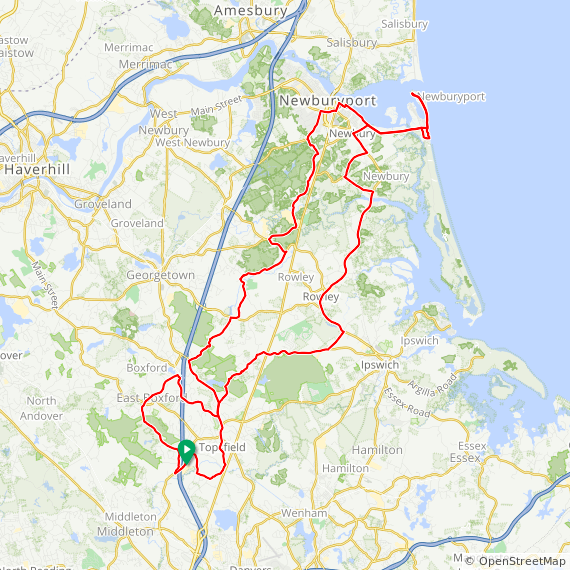 Medium ride adds Newbury and Newburyport. Long ride adds Plum Island including the paved bike lane on the Plum Island Causeway. 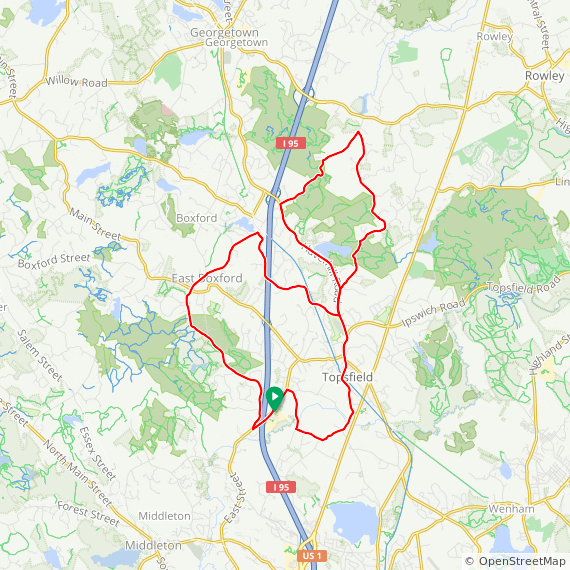 Short ride lunch stop is in Topsfield. Long and medium ride lunch stop is in Newburyport at Abraham's Bagels. Abraham's is in the same block where a 17th century woman named Elizabeth Morse lived. She was convicted of witchcraft a dozen years before the Salem witch trials. Visit the plaque dedicated to her on the north side of the building. An optional stop is at Tendercrop Farm on the long and medium rides. Feel free to visit the farm store for coffee and fresh local products! The ride leaves from the north parking lot on the other side of the school from where the regular Saturday ride gathers.